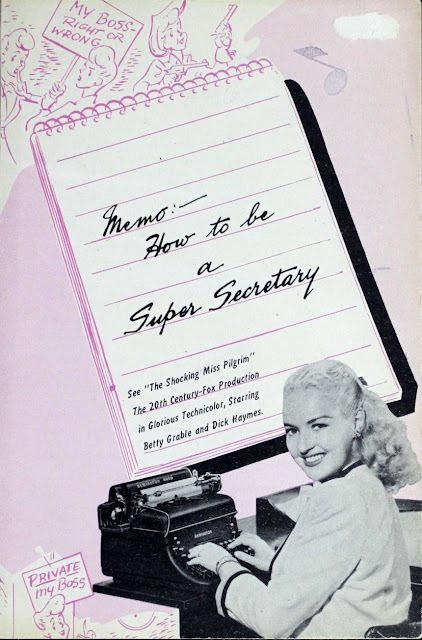 Titled Memo: How To Be A Super Secretary, this booklet showcases the work of Miss Olga Elkouri, "renowned typist and secretary," who embarked on a nationwide tour to find out which qualities bosses seek in secretaries. 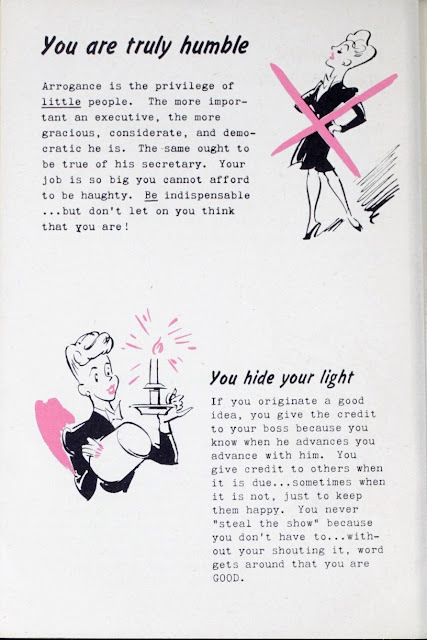 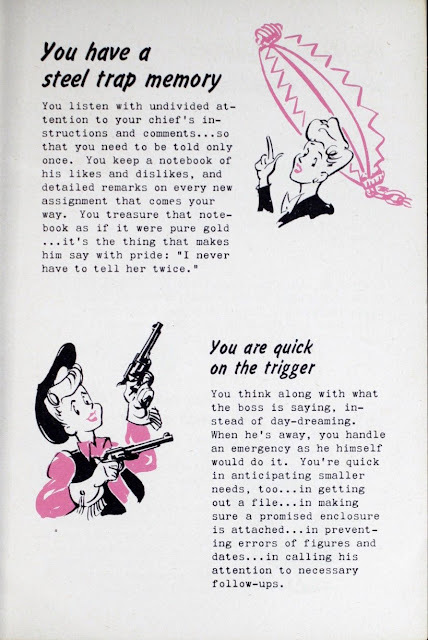 Miss Elkouri's findings are summed up within the pamphlet, which also features a plug for the Betty Grable film, The Shocking Miss Pilgrim, on its cover. 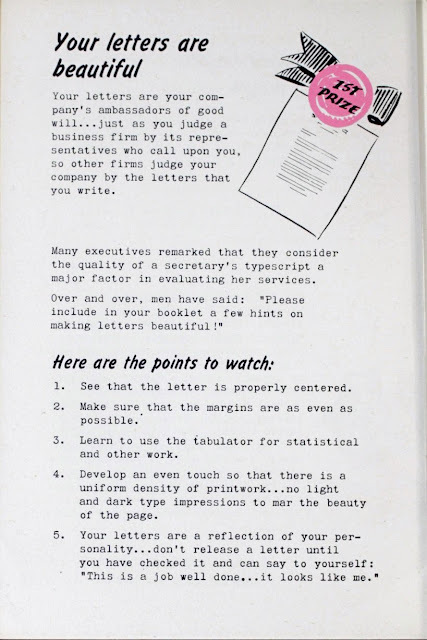 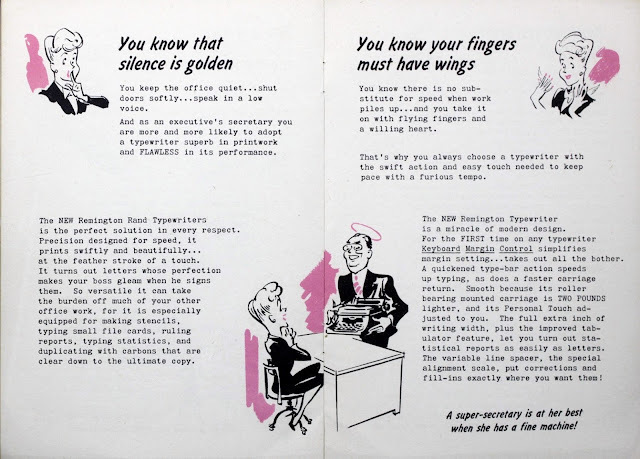 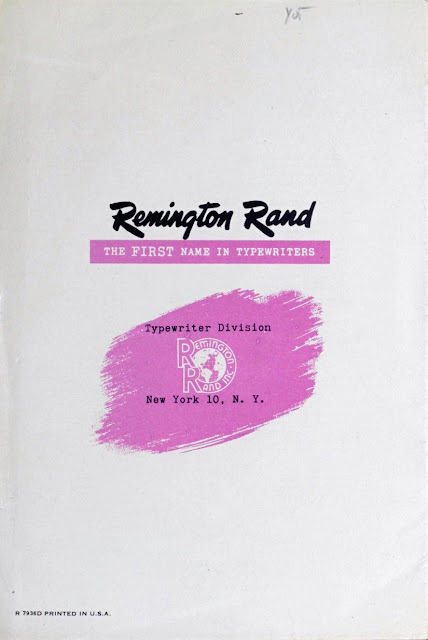 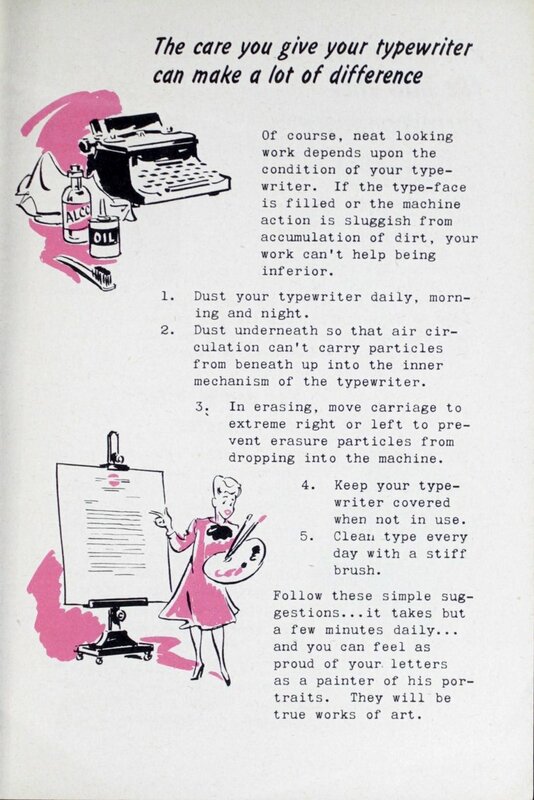 This booklet offers advice on what to wear and how to act, as well as tips for creating beautiful letters and caring for your typewriter. 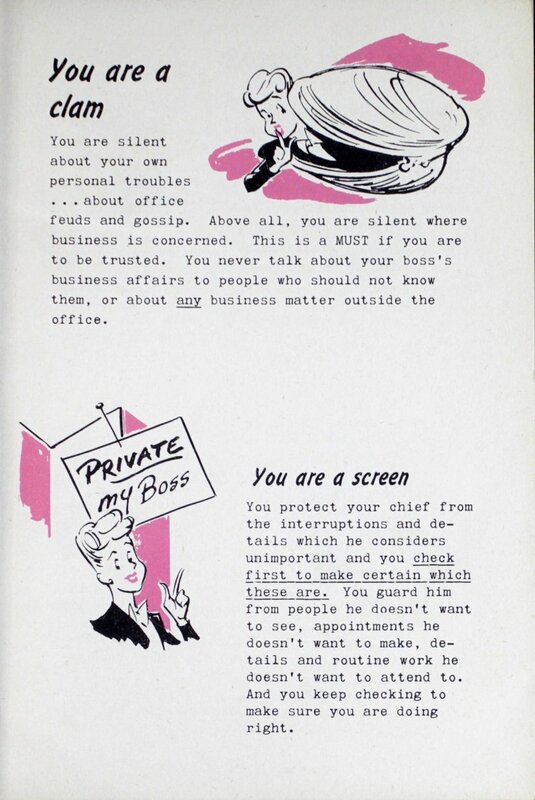 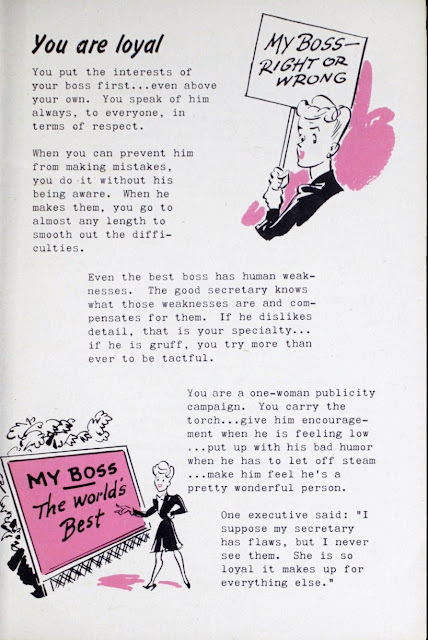 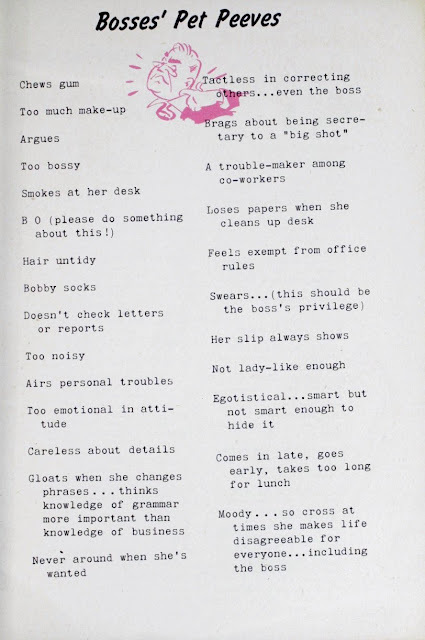 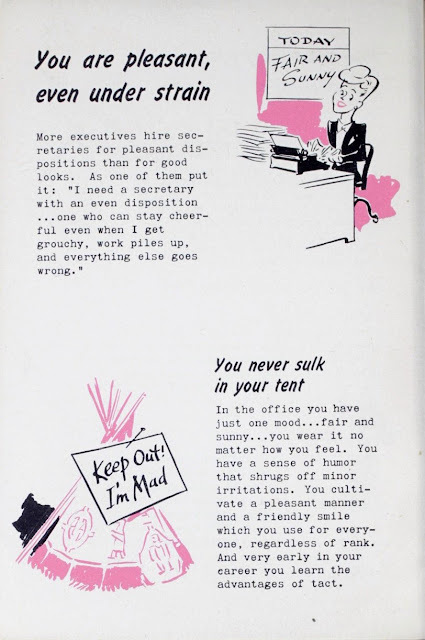 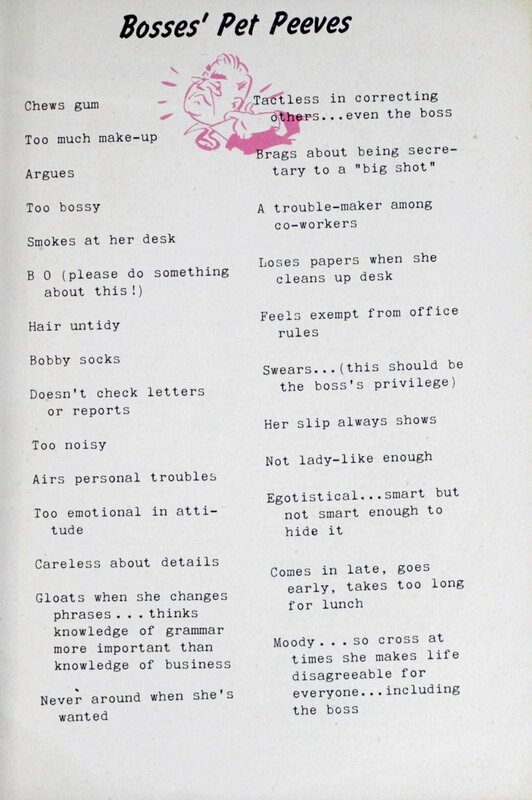 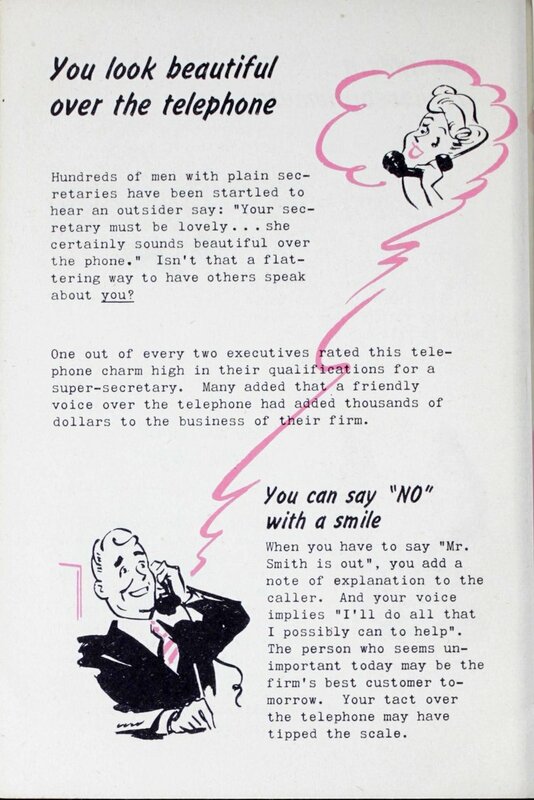 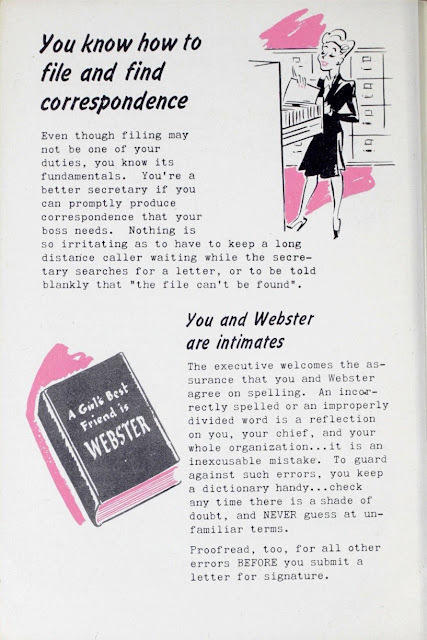 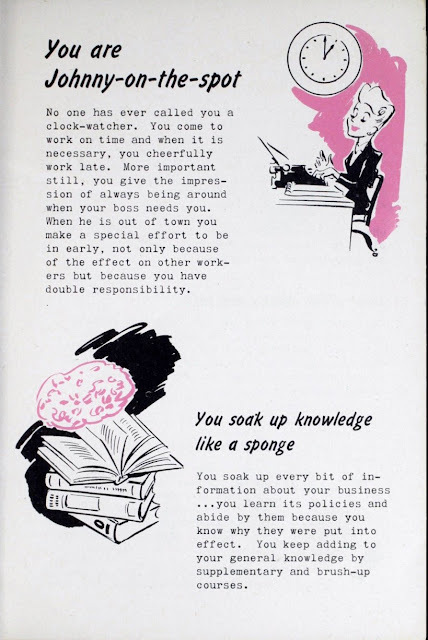 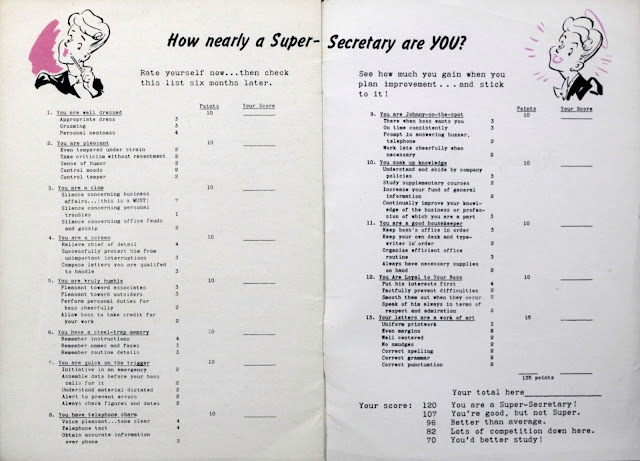 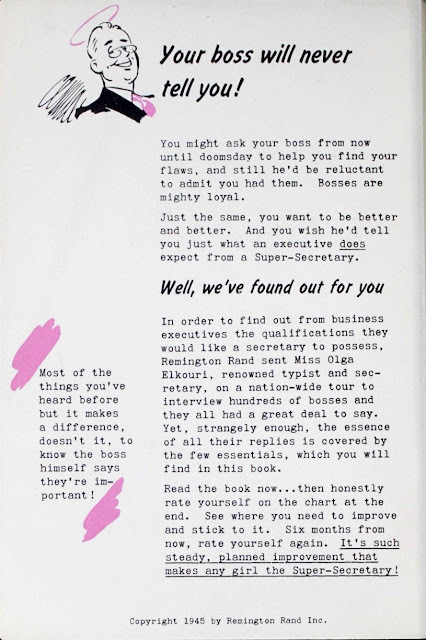 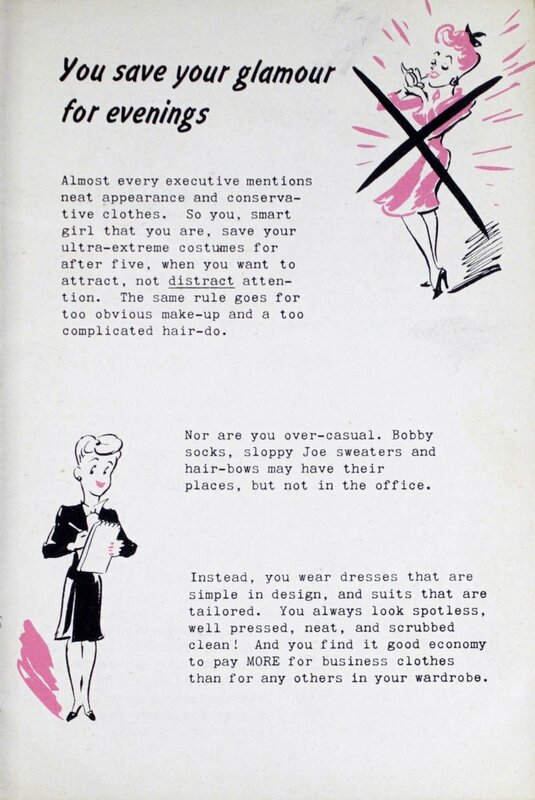 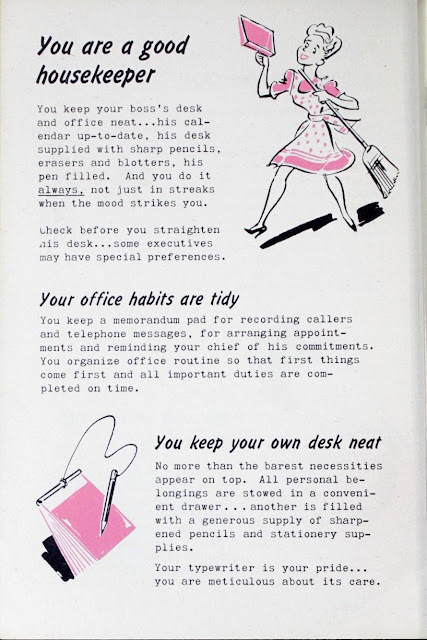 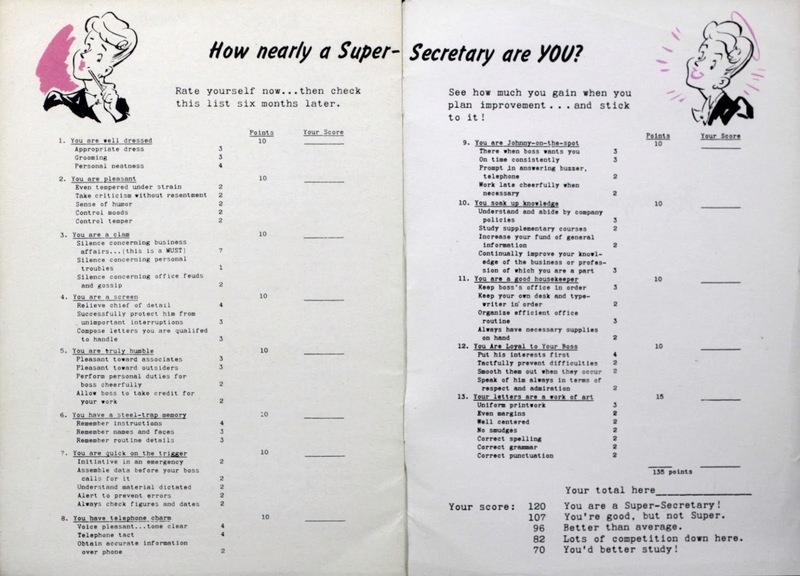 Reviewing this booklet reminds us of how much attitudes, workplaces, technology, and fashions have changed since Memo: How To Be A Super Secretary was published.